A new craft show starring Sara Davies is set to get a prime-time national airing on mainstream TV in January. Crafting expert Sara will be the presenter for the new show called ‘Be Creative’ that will air on Made Television in Tyne & Wear, Teesside & Yorkshire, Cardiff, Bristol and Leeds in the New Year. In a huge boost to the craft industry, the deal is for an initial series covering six half hour programmes that will be shown for consecutive weeks from Thursday 8th January at 6pm. The launch episodes will cater for beginner, intermediate and advanced levels and cover a variety of popular crafts including stamping, sewing, sugar craft, knitting, candle making and jewellery. Some of the sector’s leading experts including Debbie Shore and Sheena Douglass will join Sara on Be Creative as a guest for each show. The show was originally commissioned and intended for broadcast in Tyne & Wear only but demand from other regions for the programme has led to it being rolled out to additional areas across the UK that will see the show reach millions of homes. 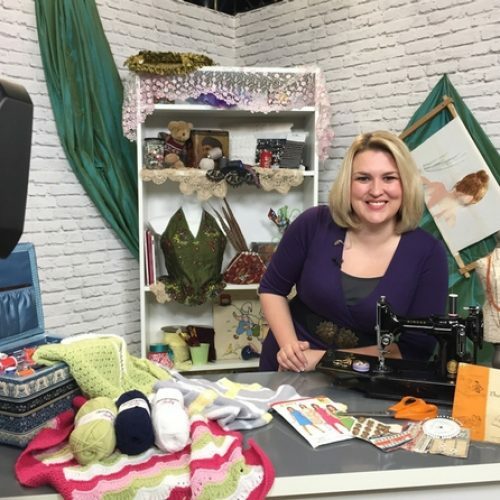 Award-winning craft entrepreneur Sara, who founded Durham-based Crafter’s Companion, is no stranger to presenting as she regularly features on TV shopping channels across the world, demonstrating a range of craft tools and skills to crafting enthusiasts. Tony Hazell, station manager for Made in Tyne and Wear, said: “We’re extremely excited about adding the ‘Be Creative’ show to our programme offering. Made TV is very much about promoting the people, businesses, experience and talent of the local area. Sara’s company Crafter’s Companion specialises in the manufacture and distribution of crafting tools along with its own brand goods. Its products are sold online via its website, via TV shopping channels across the world and through independent retail shops in the UK and Europe. 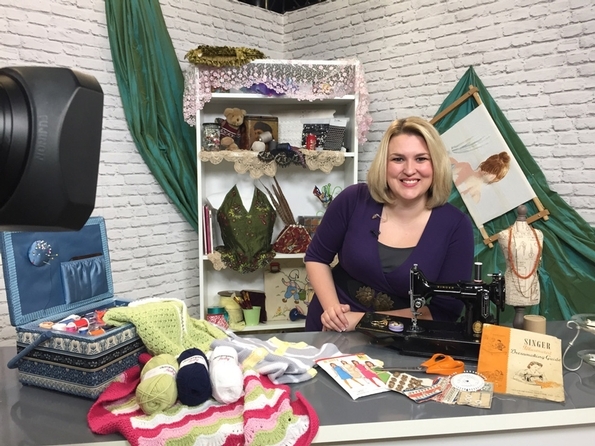 30-year-old Sara said: “I am absolutely delighted to have been chosen for this TV show as it gives me the opportunity to take crafting to millions of people that may never have considered crafting before, which can only be a good thing for our industry. “Crafting covers so many areas and over the last few years, we have seen a real boom in the UK in terms of people adopting craft as a hobby. With this in mind, I think Be Creative has a great opportunity to reach new and existing crafters across the UK at just the right time. Sara recently fought off stiff competition from six high flying creative professionals from across the UK to pick-up the Creative Industries Entrepreneur of the Year award at the prestigious Great British Entrepreneur Awards.